There are very few people in the world that have no debt issues, unless they fall into the category of the richest people in the world. Although debt is a common problem there are a lot more people who have come to realize that by eliminating debt they are able to sleep better at night and enjoy more productive and peaceful days. 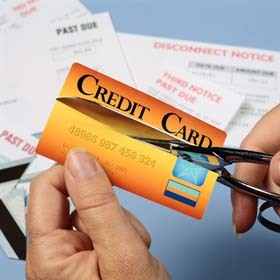 Debt is also a major contributor to depression and suicide. With all of these facts it is no surprise that more and more people are looking for ways to become debt free as quickly as possible. Debt is not created over night and it will not go away over night, but by following the tips listed in the article of Mint Life you will be able to give yourself peace of mind and the satisfaction of knowing that you are no longer debt free.